See? It’s an illness. And I apologize. To make amends, let me offer you some ideas for golf gifts, should you or someone you know suffer from this same affliction. There’s a lot here, so buckle up for a wild sleigh ride. BIG MAX Golf makes the most popular golf push carts (trolleys) in Europe. 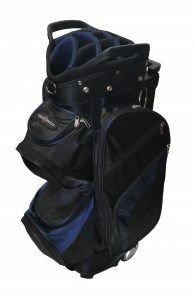 Their new lines of AQUA and DRI LITE stand and cart golf bags ($180-$300) combine waterproof protection for your clubs and gear with clean, cool European styling, while remaining incredibly light weight. I have fallen in love with my DRI LITE Active cart bag ($230), which fits perfectly on my BIG MAX push cart. The nine pockets, including a spacious cooler pocket and multiple felt-lined valuables pockets, all have waterproof zippers. 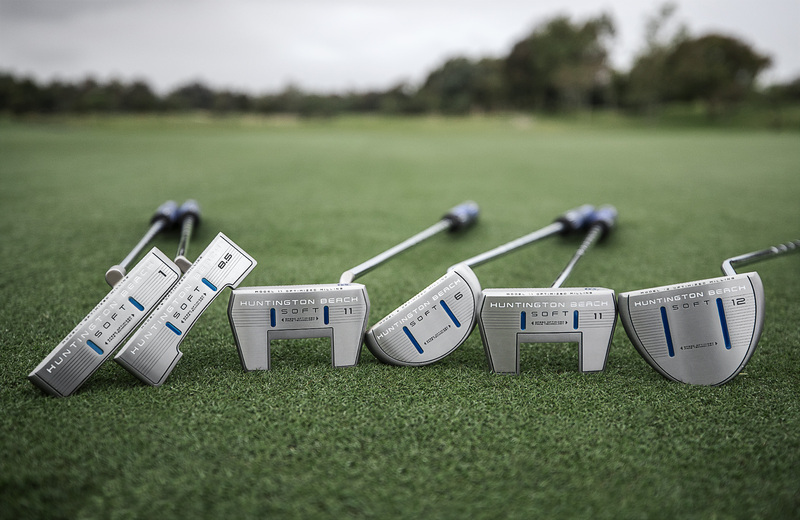 There are 14 individual club slots plus a putter bay, and it weighs in at less than 5 lbs. An added bonus is the snazzy matching golf umbrella that comes with these bags for free. If the golfer on your gift list prefers to ride in a golf cart, there’s a new bag designed to help make it easier to transfer his or her golf bag from the car or locker room to the cart – or really anywhere. The RoadRunner Wheeled Cart Bag by CaddyDaddy ($170) features built-in wheels in the bottom of the bag. The smooth-rolling wheels allow you to just tilt the bag and roll it behind you, sort of like a mini-travel bag. After testing mine out, I actually think it could work, in a pinch, to substitute as a travel bag (with the rain hood attached) or, on short, smooth par-3 or executive courses, as its own pull cart. It has 10 spacious pockets, individual club silos, the aforementioned wheels, and yet weighs in at just over 7 lbs. Really clever, this one. Sun Mountain offers a host of golf accessories, from rain suits to golf bags to push carts. 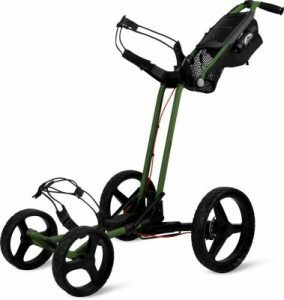 The new Pathfinder push carts ($209) come in 3-wheel and 4-wheel versions, and are designed to open and close with the flick of just one latch. The 3-wheeled Pathfinder 3’s folded dimensions are 29 x 13 x 17, and it weighs 16 pounds. The Pathfinder 4 has four wheels, folds to 26 x 16 x 14 and weighs 17 pounds. 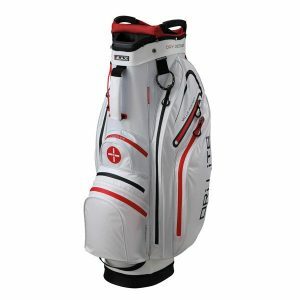 Both models feature a huge console with netting for headcovers and snacks, dedicated spaces for cell phone, range finder, and extra golf balls, and ergonomically designed handles. Walking is the best way to play golf, and push carts make the walk far more enjoyable…usually. you see, my dear, sweet granny had one of these when she was run over by that gas-guzzling golf cart, in fact…*sob*! I’ve been a big fan of the Cleveland Golf’s Huntington Beach putters. The newest line of these affordable flat sticks, the SOFT line ($130), are the best yet. There are six head designs with optimized shaft and balance for each, all in soft 304 stainless steel with Diamond CNC Milled faces. All of them come with slightly over-sized grips as well, which help take your hands and wrists out of your stroke. My son and I took my 8.5 model out to the practice green when it arrived and we each made our first 4 putts with it. Now we’re fighting to decide who gets to keep it in his bag. Sam Uisprapassorn, founder of Cut Golf, is an average golfer by his own admission. Like most of us, he got tired of losing pricey golf balls round after round. 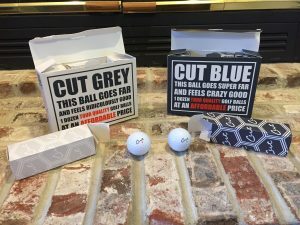 Two years ago, he resolved to make the “best damn golf ball for under $20.” For the past two years, he and six other guys have worked out of his garage building up Cut Golf. Cut offers 2-, 3-, and 4-piece balls for $19.95/doz. (or less) that have been racking up awards ever since. Seriously, despite the quirky name (which dredges up memories of me hitting Balatas thin), these are excellent golf balls. 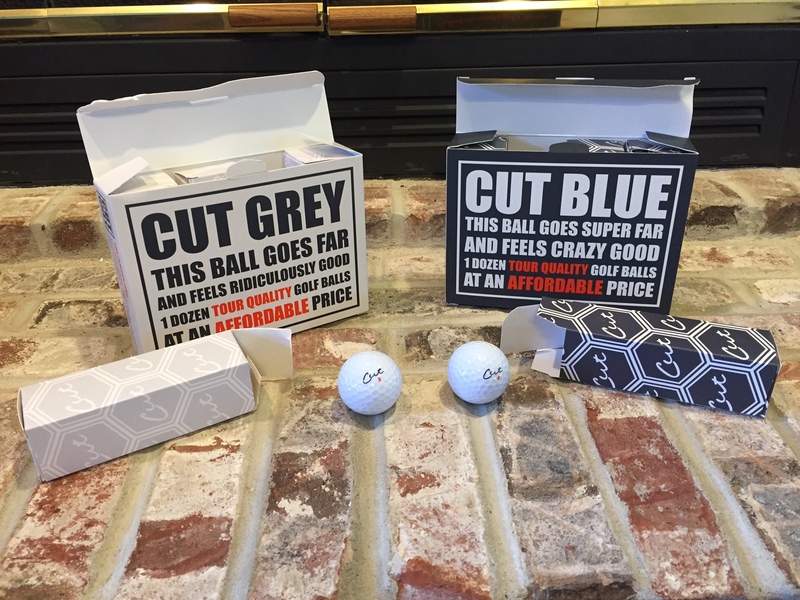 I’ve played both the Cut Grey (feel) and the Cut Blue (distance) balls, and they are practically indistinguishable from much more expensive competitors. My son loves the pop he gets from the Blues. I am constantly surprised by the great touch of the Greys on the greens. 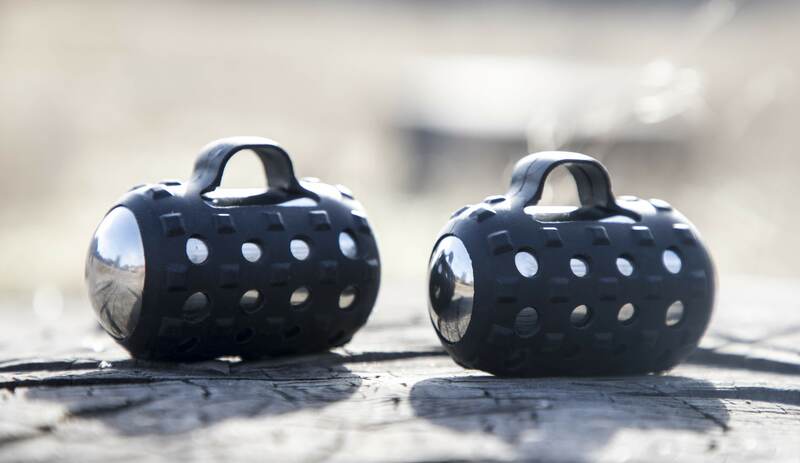 So maybe grab your favorite golfer a few dozen of these babies to last the entire season, instead of a dozen high-priced balls to last a few rounds. There has been an explosion in rangefinder options over the past few years, and Bushnell makes every version you can imagine, from laser rangefinders to GPS watches. Maybe Bushnell’s most affordable and least obtrusive option is the new Phantom GPS Rangefinder ($80). The Phantom comes preloaded with 36,000 courses and provides accurate measurements to the front, center and back distances of the green, along with up to four hazard/layup distances per hole. It’s equipped with a high powered magnet to attach easily to a cart bar or any metal surface. Other features include auto course and auto hole recognition, shot distance calculator and long battery life (play up to two rounds before charging). My son loves it when playing high school tournaments at new courses. 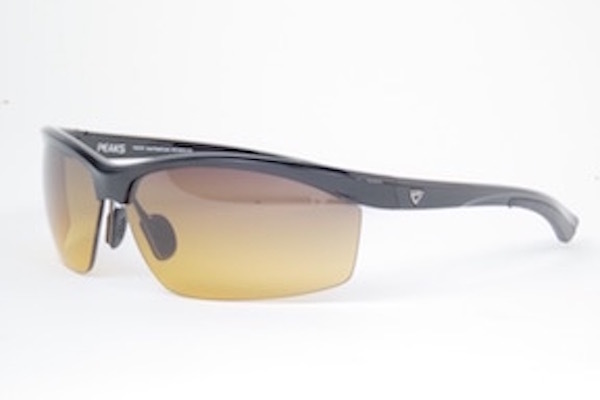 The PeakVision GX5 sunglasses ($120) are specially designed for golfers who want to see their ball better and protect their eyes from UV rays. The half-rimmed GX5 frame is super-lightweight and durable and provides high flexural and fatigue strength for long-term performance. The hypoallergenic nose pads are fully adjustable to provide stability and comfort. The ball just sort of “pops” when you wear these shades. 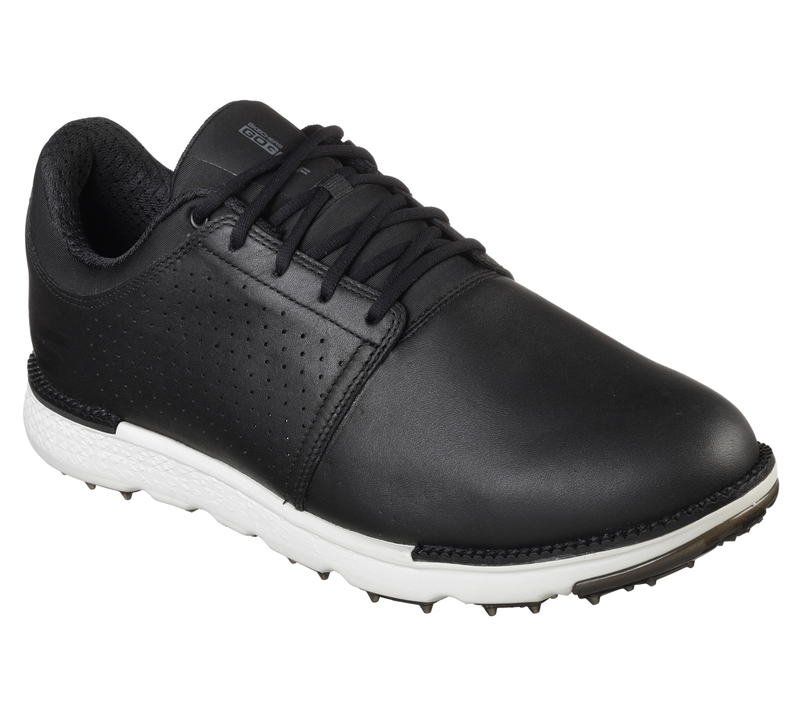 I have to admit: When Skechers started making golf shoes, I was skeptical. But I’ve got several pairs now, and I’ll be a sandbagger’s uncle if they’re not the most comfortable golf shoes I own. The GO GOLF Elite V.3 Approach model ($105) is comfortably wide, never blisters, and has been 100% waterproof every time I wear them – and I walk 18 holes multiple times a week during the golf season. Maybe they’re not the most attractive golf shoes on the market, but this summer, wearing mainly Skechers, my feet have been significantly less sore and calloused than any season in memory. My daughter’s majoring in non-profit management and marketing at the University of Minnesota, and my secret dream for her someday is to work with a PGA Tour event to raise funds for one of the many great causes benefited by the Tour. She’ll be heading off to study abroad in Kenya after this Christmas, and she is taking some sporty, functional clothes with her that’ll wear well in the extremes of sub-Saharan Africa. Some excellent golf wear that she’s packing for the trip is KINŐNA Golf Wear. Everything in their inventory looks just as fashionable in the classroom or on a safari as on the golf course. She’s particularly fond of the new Resort 2018 collection, which includes the Chill Killer Lightweight Golf Jacket ($139), perfect for cooler Kenyan evenings (and for keeping mosquitoes from biting). More than once in my life I’ve been on a vacation or playing golf on a bucket-list course and wished I could take a little bit of it home with me as a keepsake. But what would I do with a handful of sand from, say, the Hawaiian beach where my wife and I were married 25 years ago this January? 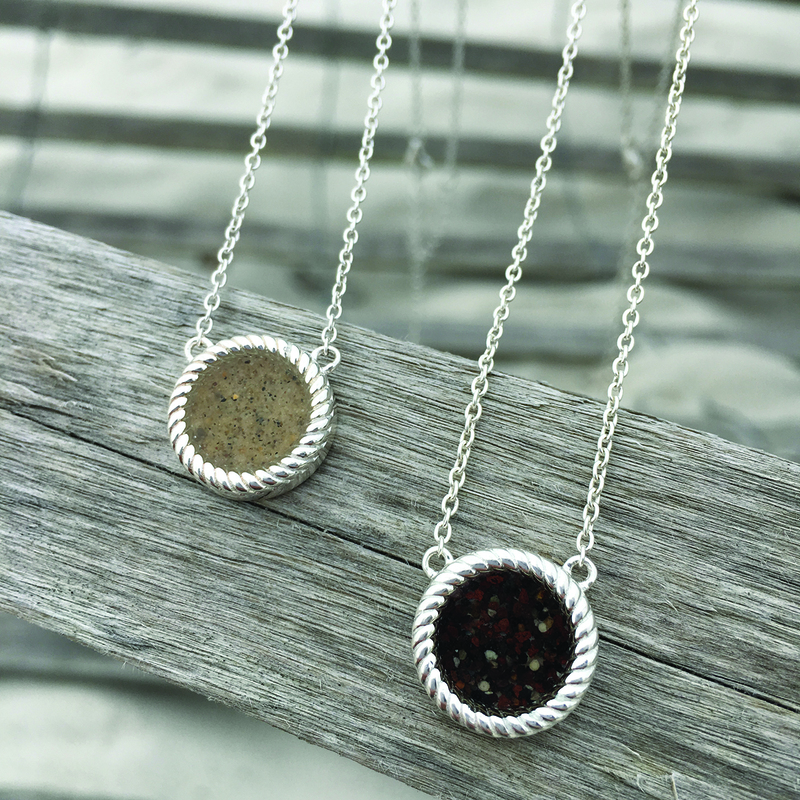 Dune Jewelry has taken the simple idea of saving a pinch of sand as a keepsake and turned it into an elegant line of jewelry and accessories, including ball markers and divot repair tools for golfers. Dune has a “sand bank” of sand from over 3,500 sites around the world – including hundreds of golf courses – from which you can choose to fill everything from earrings to pendants to ball markers. You can even send in your own sand to be made into a unique memento of a time or place or event. Earlier this year, Holly Daniels Christensen, Founder & CEO of Dune Jewelry launched the Hamptons Rope Collection, a creative collaboration with sports radio and television personality, author and golf correspondent, Ann Liguori. This collection was inspired by Liguori’s love of travel, sports, and connecting with people all over the world. As I say, my wife and I were married on a beach on the Big Island, so I found sand from Waikoloa Beach – the beach on which we were married – in Dune’s “Beach Bank.” I ordered that sand in a Hamptons Rope Stationary Necklace ($150) for her, and surprised her with it during our family Thanksgiving. I just couldn’t wait until Christmas! Within a few short years, Under Armour has become one of the hottest, trendiest, highest-profile apparel companies in the golf market. 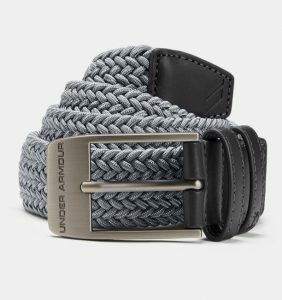 Under Armour polos range from $40 to $80, and the UA Microthread Calibrate ($75) is cut a bit more generously for golfers like myself who may resemble Santa in certain ways. 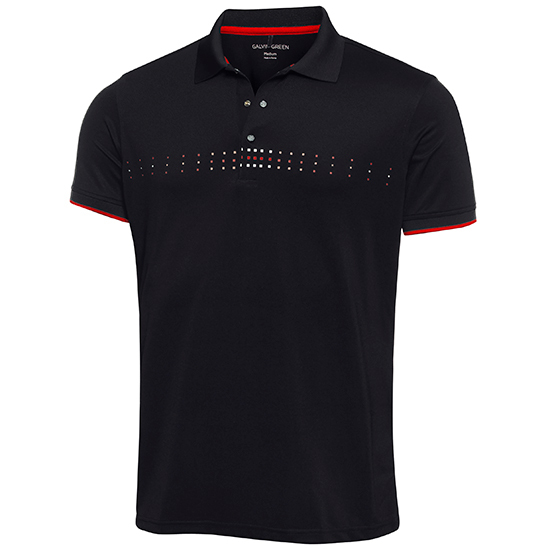 To go with the new polo, add a UA Braided Belt ($40) and a Jordan Spieth Tour cap ($30). I can’t think of any golfer I know who wouldn’t love to open a box full of UA golf gear like this! The first step is admitting you have a problem. So, here goes: Hello. My name is Kiel. I’m a Golfoholic. Fortunately, there’s a community for me at Golfoholics. 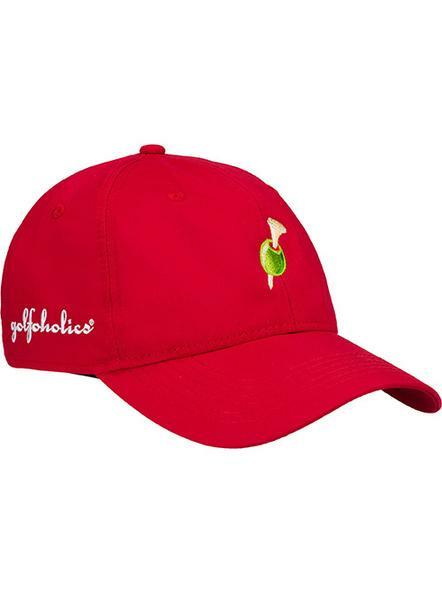 There’s lots of fun content there, along with giveaways and some cool golf gear with the group’s trademark olive-and-golf-tee logo, which really makes me both want to play golf and mix a martini. As I said the first step is admitting you have a problem. It seems that I have several problems. Now that I’ve admitted my various problems, I might as well just keep talking about them. One of my favorite semi-local courses is Harrison Hills Golf and Country Club in Attica, Indiana. One drawback of that classic Langford and Moreau design (9 holes date from 1927, with 9 more woven in by Tim Liddy) is that there is no alcohol for sale on-site. But the staff are understanding, and will even let you drive a cart to the nearest liquor store before your round. But you need something to keep your beer cold, right? The Vibe Soft-sided Cooler ($180) is for people like me who take their libations very seriously. 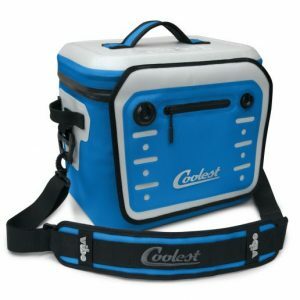 This cooler has too many features to list here, but include integrated plates and utensils, bottle openers, storage pocket, and universal straps to attach anywhere. Next time I head to Harrison Hills, my beer is going in this. While we’ve slipped into the topic of vices, my favorite “monthly club” is CigarClub.com. 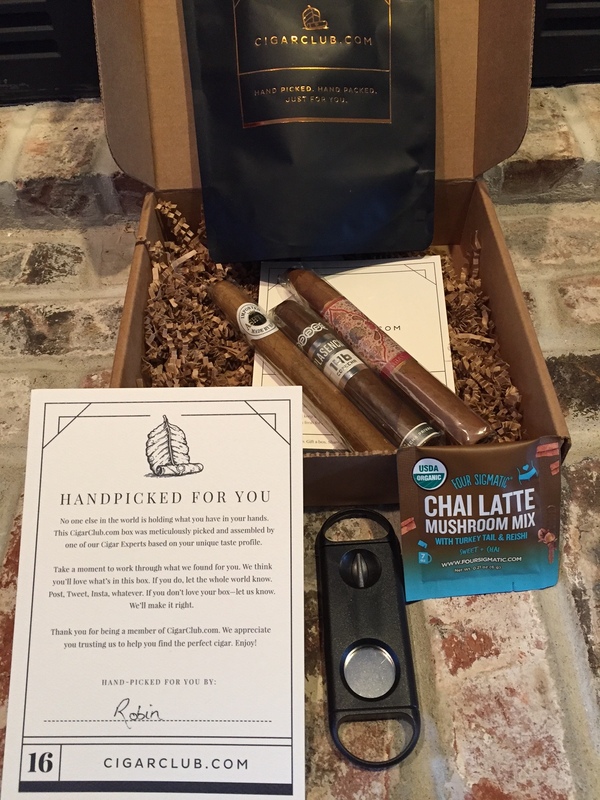 Depending on the level of subscription, cigar lovers pay $30 or $45 per month for a box of 3 or 5 cigars tailored to your customized taste profile. There’s also always some sort of treat inside, like candy or tea, and usually a cigar accessory, too (e.g., a cutter). About the only place I enjoy a cigar is on the golf course, and this is the perfect club for finding a variety of interesting smokes for those occasional indulgences. Once the holiday debauchery has subsided, it’ll be time to get back into shape. But not too fast. I mean, you don’t want to strain yourself. Egg Weights ($40/pair) range from 1 lb. to 5 lb. per pair, and they fit into the palm of your hand, held secure by a rubber loop that goes over one finger. So say you want to go for a walk after gorging on a gigantic holiday meal, maybe taking a cocktail and a cigar along with you? Strap these babies into your palms, and you’re cheating the devil, baby. Seriously, any exercise you finally get around to doing will get amped up by adding a bit of extra weight, and these things are perfect for that. Maybe I’ll take the Egg Weights with me caroling this year. I’m working on a whole program of seasonal golf-related songs.